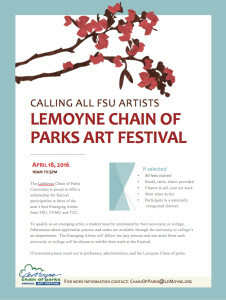 The LeMoyne Chain of Parks Committe is proud to offer a scholarship for festival participation to the of the area’s best emerging artists from FSU, FAMU, and TCC. To qualify as an emerging artist, a student must be nominated by their university or college. Information about application process and codes are available through the university of college’s art departments. The Emerging Artist will follow the jury process and one artist from each university or college will be chosen to exhibit their work at the Festival. 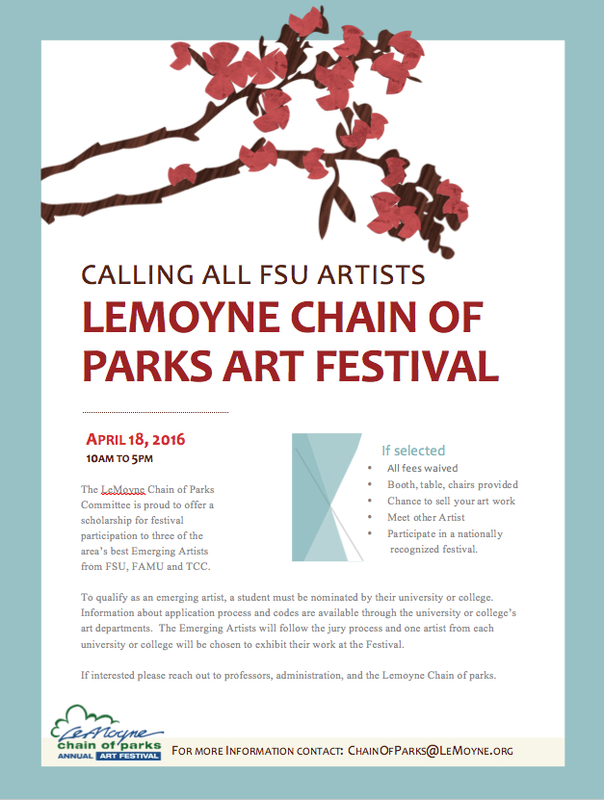 If interested please reach out to professors, administration, and the Lemoyne Chain of parks.